We have finally realized our dream of Digg and we have taken the last 6 weeks to hustle and rebuild the website from scratch. Here is a sneak peek. We want everything to be easy to read, find, and share the most talked about stories that are getting internet buzz. 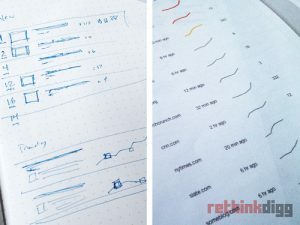 The user needs to experience something that is quick and easy to read. We want people to be able to browse share and easily come back to us. We want to build a unique experience that is compatible with each device. This way users will see stories on smartphones, email, and in social media. We want the stories to be easily shared on all social formats. The old days of internet headlines just don’t work with stories that are bigger and have more impact on certain people. Not every story can be told the same way. Some stories are better told through video, Some stories are better through text, and some stories an image is worth a thousand words. We that in mind we have set out to design Digg. We are glad we made the decision to not launch Digg as IPO penny stock company. Here are a few of our design mock ups. Here is a closer look at what we started with on our proposal. The final version will be complete and ready for launch shortly. When you visit our site, you will find an amazing user-friendly experience. We won’t have a tradition website. We will bring something new to the internet so everyone has a great experience. No more boring newsrooms websites. You will bring the top stories and well as what is popular and upcoming to our users and visitors. It will take awhile for us to get our commenting system up and running. We find that there are too many spam comments going around. So it will take longer to get up and rolling right. We will be adjusting the Digg score. We will be focusing more on Facebook shares and Twitter shares to help find which stories are trending. No more walls. 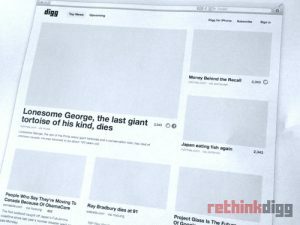 We want Digg to provide experiences that can interact with any site on the internet. 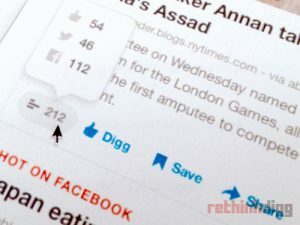 Digg Scores will not only factor from our own site but also Facebook and Twitter. We will be able to process data to come up with accurate Digg scores. 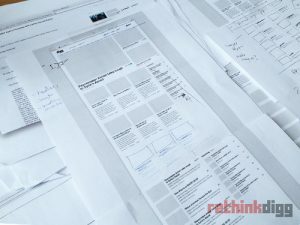 We learned a unique system of measuring from news.me which we will implement for the Digg score. We find that this new way of doing things has led to users reading stories multiple times in one day. After six weeks and our initial launch, we will be back to ask your opinions. Next Next post: Was Digg almost a penny stock company?